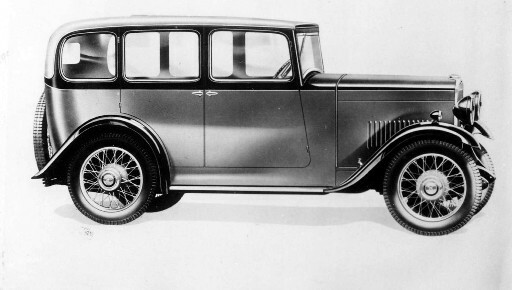 Super Nine – 1931 to 1933, 8.9 h.p. 1018cc 4-cylinder overhead inlet & side exhaust valve engine with 4-speed gearbox. This ‘all new’ Triumph was the first to be powered by the Coventry Climax designed overhead inlet & side exhaust valve engine. This is a larger car than the Super Sevens & Eights, being built on its purpose built chassis. We estimate that 2,200 Super Nines (including Southern Crosses based on the same chassis) were produced. We have recorded 350 with 24 surviving of which 18 retain their original style bodywork. Excluding the first Southern Cross ‘Nine’ Tourer, 3 body styles were available; 2/4-Seater Tourer – £175, 4-Door 6-Light Coachbuilt Saloon £175 and 4-Door Tourer – £198. Ten – 1933 to 1934, 9.8 h.p. 1,122cc 4-cylinder overhead inlet & side exhaust valve engine with 4-speed gearbox. Basically similar to the Super Nine the Ten was more powerful and slightly longer. From late 1933 Tens were offered with a free-wheel pre-selection gearbox, which would be retained throughout most of the Gloria range. We estimate that 700 Tens were produced. We have recorded 160 with 1 surviving with its original style bodywork. 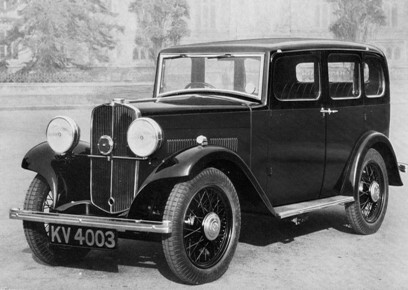 2 body styles were available; 2/4-Seater Tourer – £215, 4-Door 6-Light Saloon (1933/4 saloons had all rear hinged doors) £225.